Need an entire automation system or work on a stand-alone machine? 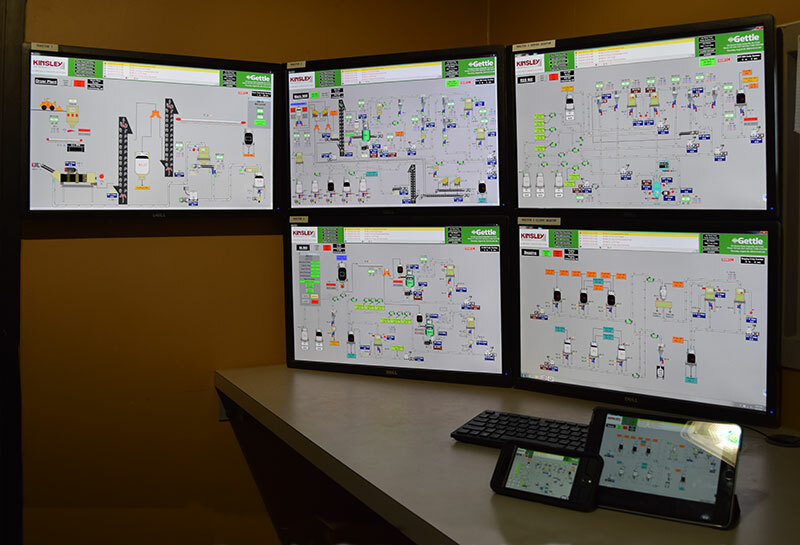 From initial concept and evaluation through hardware and software design to installation and documentation, Gettle’s comprehensive automation and control system design solutions help businesses increase productivity, efficiency and profitability. We provide clients the convenience of a centralized contact able to support and integrate your automation processes with other systems, including data and electrical. At Gettle, we maintain relationships with top industry suppliers and are committed to staying on the forefront of the industry through ongoing training and education. We invest in research and development to ensure our clients receive the best possible solutions using the latest communications protocols. Our 67,000 square-foot facility includes a UL-listed panel fabrication shop, where our team designs, builds and tests equipment before it arrives on-site, reducing downtime and disruption. We understand businesses have around-the-clock needs and when it comes to service, every second counts. We offer 24/7 emergency service and the latest technologies in remote system monitoring, diagnostics and data collection for critical, real-time information. Launch TeamViewer now to request remote support. In addition to turnkey services for automation, Gettle offers comprehensive technology system expertise. Our multi-division capabilities ensure optimal system integration and we invite you to check out the links below to learn more about these solutions. Automation, data collection and system design can help your company save money by reducing labor, minimizing human error, improving processes and delivering real-time diagnostics. Reach out today to connect with a member of our team to discuss how our turnkey approach can add value to your project.